Primobolan is the trade name in the pharmaceutical market given to the anabolic steroid Methenolone Enanthate, as well as its oral counterpart, Methenolone Acetate. Primobolan is regarded by many athletes and bodybuilders as the most prized anabolic steroid to get a hold of, next to perhaps Anavar (Oxandrolone). 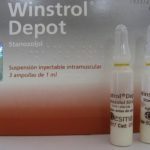 The scientific quest in the anabolic steroid arena between the 1950s – 1980s was to develop and/or discover an anabolic steroid that could be considered the ‘perfect’ anabolic steroid. The perfect anabolic steroid would of course be one that would express all of the desired effects of muscle growth and performance enhancement, and none of the negative detrimental side effects, thus being a harmless and perfectly safe anabolic steroid. Unfortunately no such development or discovery was ever achieved, and likely never will due to the inherent nature of androgenic anabolic steroids. For example, the undesirable androgenic side effects of all and any anabolic steroids cannot be completely separated from the anabolic (muscle-building) effects, although they can be distanced quite a bit from one another. They cannot, however, be completely dissociated. 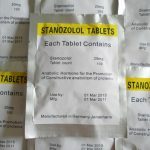 The quest to find the perfect anabolic steroid resulted in the creation of two anabolic steroid derivatives that have come the closest to such an achievement: Anavar (Oxandrolone) and Primobolan (Methenolone). 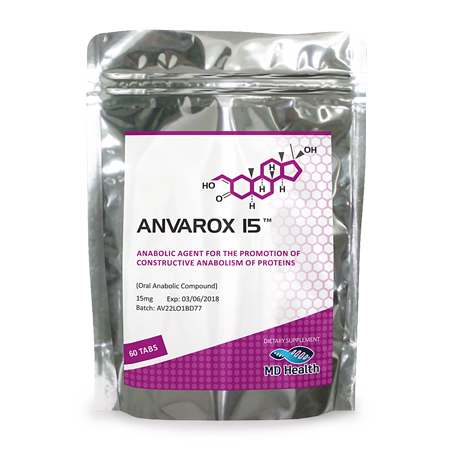 In reality, Anavar tends to reserve the right as the ‘more perfect’ anabolic steroid, but Primobolan is quite impressive in its own regard. The area in which Primo falls short, however, is in the arena of anabolic strength where it is quite weak in comparison to Testosterone and Anavar. The good news is that Primobolan possesses an even greater measure of weakness when it comes to its androgenic strength. This hormone is considered by bodybuilders as an excellent choice for cutting, though its nature as a prized and expensive item does get in the way of many individual’s decisions to use it, as the dosages required are generally high, which necessitates a higher consumption of the product. Primo is manufactured in both an injectable and oral format, and surprisingly, the oral format imposes literally no ill effects on the liver, as it is not C17-alpha alkylated. This, in contrast with Anavar, is very advantageous. However, it should be noted that Anavar, although it is C17-alpha alkylated, imposes far less liver toxicity than many other oral anabolic steroids to begin with. 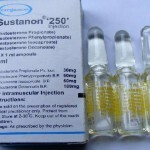 The injectable format of Methenolone is a long-acting variant, providing the hormone with a half-life of 7 – 10 days due to the addition of the Enanthate ester onto the molecule. Primobolan was developed in 1960 and released onto the prescription market in 1962. It should be noted that shortly after its release, Schering obtained the rights to the drug and Primobolan became an international-exclusive item, and ever since then it has become a special-order item only if it is to be prescribed by a physician in the United States. Primobolan’s risk-to-benefit ratio was so impressive that it was actually approved for use in the treatment of children and females. This drug was utilized for all kinds of medical conditions, ranging from the treatment of wasting diseases all the way to its use as an osteoporosis medication as well as its use in preemies (premature babies) in order to restore healthy birthweight. What Does it Provide and How is it Used? Primobolan is derived from Dihydrotestosterone (DHT), and as such, it is a modified form of DHT that possesses a number of chemical alterations and additions to the chemical structure. These modifications provide this hormone with the advantages that are sought after by many bodybuilders and athletes. The fact that this drug is derived from DHT is also a very large reason for its desirable properties. First and foremost, as previously mentioned, Methenolone is modified such that its androgenic strength is significantly reduced as compared to its parent hormone DHT. Similarly, its anabolic strength is also reduced to the point of being only slightly weaker than Testosterone (Primo expresses an anabolic rating of 88, while Testosterone’s is 100). This reduction in anabolic strength, however, is enough that for significant size and strength gains to be achieved, very high doses are required, which can make Primobolan cycles quite expensive. Dihydrotestosterone is unable to convert (aromatize) into Estrogen at any dosage, and this is a welcome advantage that Methenolone also possesses. Obviously athletes and bodybuilders are intensely attracted to this drug for the following reasons: very mild androgenic strength (thus reducing the propensity for androgenic side effects), absolutely no estrogenic effects, and a moderate anabolic effect. Being that its anabolic strength is not very impressive, it is recommended to be utilized primarily in cycles where fat loss and cutting are the main goals. 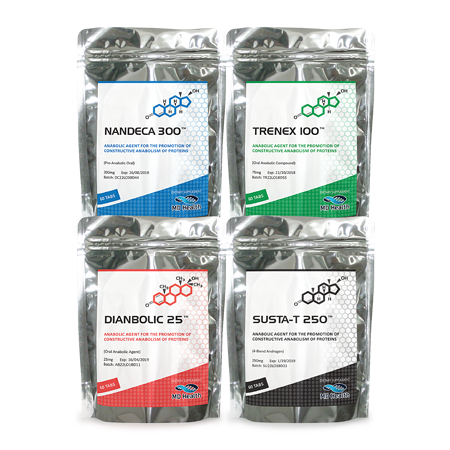 If lean mass gains are desired, it is suggested that this anabolic steroid be utilized in conjunction with other stronger compounds. All-out bulking and significant mass and strength gaining is not recommended with Primobolan unless very high doses are used. For beginners and those wishing to achieve fat loss with this drug, 400mg per week is generally a solid starting point. 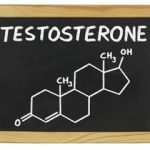 It is recommended that Testosterone in some form be utilized with it, even at a low maintenance dosage. 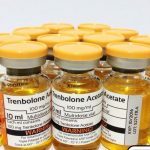 Advanced anabolic steroid users and bodybuilders are known to utilize Primobolan at dosages upwards of 750 – 1,000mg per week due to the weaker nature of its anabolic capabilities. In order to save money, many bodybuilders and athletes tend to employ the use of this anabolic steroid strictly to the weeks leading up to a contest or athletic event. As previously mentioned, no ‘perfect’ and one hundred percent safe anabolic steroid has ever been developed. Primobolan is by no means a safe anabolic steroid, and it is by no means perfect either. Although its propensity to exert various undesirable side effects have been significantly reduced, they still do exist. Furthermore, this drug does also have the potential to exhibit all of the common side effects shared by all anabolic steroids. Right off the bat, users should already know that estrogenic side effects are of absolutely no concern from Primo alone due to the fact that it is unable to aromatize into Estrogen at all. The first concern, however, would be androgenic effects. Its potential to exact androgenic effects on the body is significantly reduced, but they can still occur especially as higher and higher dosages are utilized. This can also be problematic as well in individuals that are sensitive to androgenic side effects. Despite its reduction of androgenic strength, the androgenic side effects to look out for include: increased acne, increased oil secretion on the skin, the potential for male pattern baldness, potential benign prostatic hyperplasia, and increased aggression. Primobolan might be touted as a ‘mild’ anabolic steroid, but it can and will cause HPTA (hypothalamic pituitary testicular axis) suppression and/or shut down in users. The result of this is impaired endogenous natural Testosterone production, a known medical condition called hypogonadism. If steps are not taken to ensure a proper PCT (post cycle therapy) is completed following the conclusion of any cycle, long-term or permanent hypogonadism can result. Furthermore, another common side effect that is characteristic of all anabolic steroids are the negative cardiovascular effects imposed on the body. This includes negative alterations in HDL and LDL cholesterol levels, which tend to shift into negative values during use. Cardiovascular concerns also include heightened blood pressure and vascular reactivity (the hardening of blood vessels and arteries).